I'll put up videos, stories and photos on this page as I come across fun toys that people are using in fun and interesting ways. Below those, I'll leave you with some fun places you can buy toys if they interest you or you think they might make a fun gift! Get Notified Of Any Fun Things I Put On The Website For Free! Whenever I find something fun, I put it on the website. I'll share it with you. (Remember, you can opt out at any time!) Just give me a first name and an email address (below) and you're in. 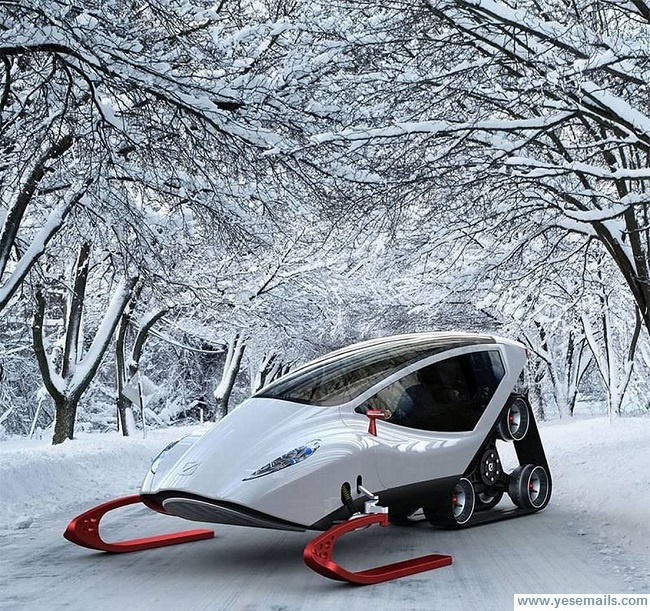 Here's a skookum looking snowmobile for you! How About A Flying Sportscar? How about a "luxury" tank? Go for a walk but cover large distances! If you ever ride your bicycle at night, this will get you noticed. Some golf cart! Check out Buybba's Jetpack. Cancel your order for your new Corvette. You'll have more fun with on of these! This would make a fun commute! Tired of walking? Try this. It looks easy. This looks like it might be fun in the wild! For the disabled, this may be one of the best "toys" they could ever get! Maybe you'd like to have this $3,000,000 RV in your driveway? How about a "snow kayak"? Or maybe you'd like to have one of these? Click On BLOG (Below) To See What People Have Discovered Here! Don't Miss Out - Get The Site Updates For Free!